Long story short I've seen several posts/complaints for the Journey and water ingress. The car is just out of warranty when this started happening, and none of the dealers around me are even wanting to look at it without a fee. My entire drivers side floor was soaked with water. This eventually made its way to the rear drivers floor and floor storage, then under the center console to the passenger side. I have lifted all the carpets to dry and sucked up all the water I can with a wet/dry vac. Eventually I found the source of the leak by running water over the windshield in different areas. See youtube video below. Picture 1, the problem area generally. Picture 2, where water runs just under the windshield on the drivers side A Pillar/ beginning of fender/Firewall area. No matter how much water large or small amounts you pour in the outlined area in Picture 2 water will immediately pour inside the car as seen in the video. This makes no sense to me, why would water be entering the inside of the a pillar, usually water just runs down the side of the car and onto the ground. Surely they can't be directly water inside the pillar intentionally for drainage? I fear that if i seal this hole it will just come out of the holes just above it which would get inside of a body harness connector and likely corrode. If anyone has any suggestions or experience with this issue I would greatly appreciate it. I will not speculate directly on the construction of the Journey as I am unfamiliar with it but, in general, vehicles do indeed have hidden channels for drainage. The filling of these channels in the front area of the windshield will often lead to water entering the vehicle as you describe. Debris from leaves, trees, and whatnot will clog the entrance of the channel causing water to back up and enter the vehicle in through other areas. The heater inlet is a common spot for back up water to enter. Maybe someone here can give a better vehicle specific answer on where the drainage channels are. Talking to someone familiar with body work may also help. In short, the wire harness retainers were removed by me to dry out the bottom of the wires as they were soaked. In addition the holes in the sill/inner kickplate (for lack of a better term) are like that from the factory, filled with foam. Is this abnormal for Journeys? Image 3, location of water entering the interior from and increased distance. I noticed when oil spraying the 2012 Journey that the door sills are all filled with foam. At the time other owner's here suggested this was to help decrease road noise in the cabin. But to answer your question, yes foam in that area is normal. An update, to help anyone in the future who has a similar problem. I have significantly reduced the possibility of the water getting in, however it is impossible as an individual to fix the root cause. In a component known as "Upper Rail" there is a hole, one could only imagine it to be for deformation during a crash. See Image 4. When rain was running down the windshield and into the cowl (see image 1 and 2) it was running directly into this hole. See image 5 and 6 for more clarity, blue marking is by me showing the flow of water. This "Upper Rail" is attached to the firewall/cowl/A-Pillar via 7-8 spot welds that I can see, not including the sandwich of sheet metal being welded together that you can see toward the bottom right of image 6. 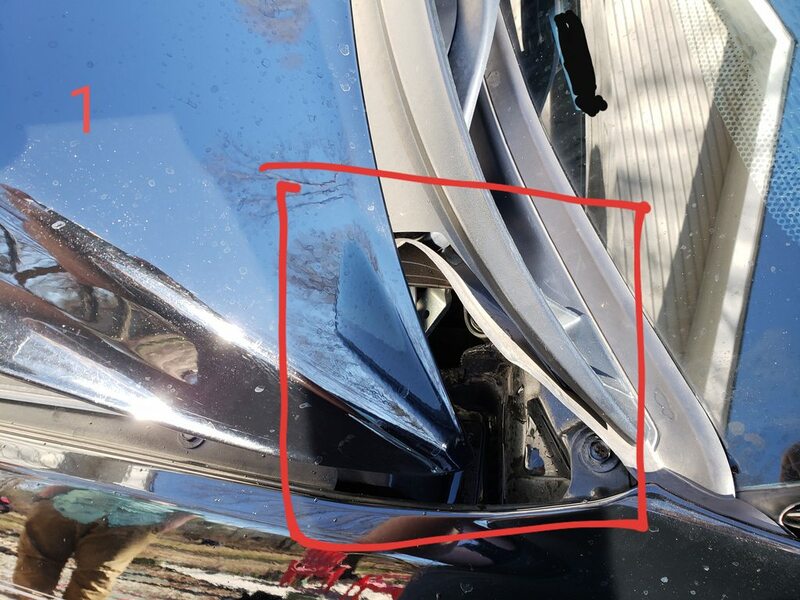 I have tested by putting water directly into this hole that water will immediately start running into the car through the aforementioned hole in image 3. 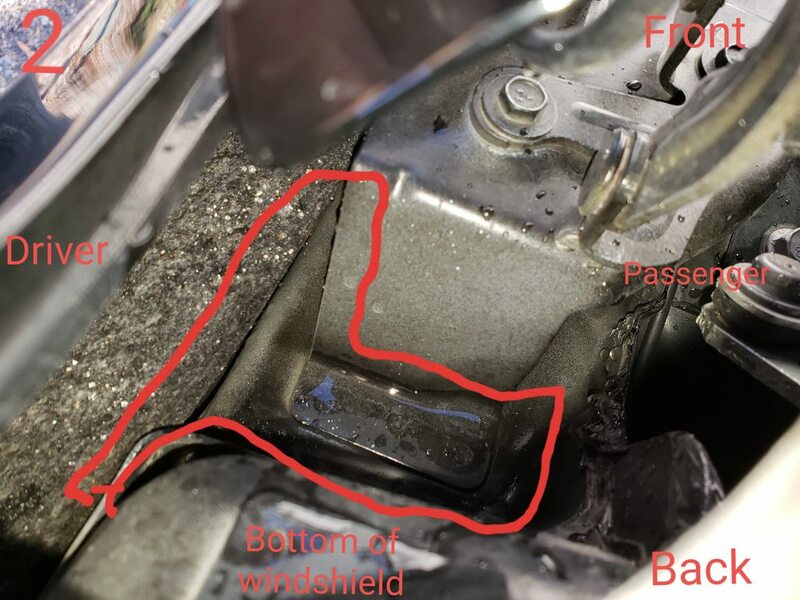 The only thing I can think of is that one of the spot welds have split and is allowing water to run into the vehicle, as this section is not open and should be considered sealed(I also confirmed this with my borescope). Image 7 shows how the main body is closed, not intended to route water through, the green line running North to South is the "sandwich" of metal that I mentioned earlier, this is sealed with some sort of hard rubber and spot welded together. All of the green dots are the approximate locations of all spot welds that I could find. It is possible that this not a bad spot weld, but rather bad sealing around the joints of metal, as the sandwich of metal joins the two halves of the door frame, which is the cavity which is taking on water. As a temporary fix, while FCA Customer care is deciding if it will help me or not I have used butyl rubber and some 4mil plastic as a means of redirecting the water which has proved to be quite effective, see image 8. Since the area of issue is very inaccessible unless the car undergoes severe body work, the only viable solution would be to seal the entire cavity with a rubber sealant, as the exact point of entry cannot be determined. Long story short, FCA does not HAVE to help me due to the basic warranty being expired, but this issue has probably existed since the car was created and is in fact a manufacturing defect that is very disconcerting. If a weld is bad, how many other welds on this car are bad? If its not the weld, what about the sealant, where else is the sealant bad? The carpets are incredibly difficult to dry, especially in this winter weather. If I remove the seat to make it easier, I fear the safety systems will disable even if I remove the battery (my old VW did this due to the side seat airbag). Another thing is, water and electricity don't usually mix and corrosion usually follows, the safety system cables were absolutely soaked on the drivers seat. Lastly I can't resell a car that is flooding with water, making the value of this car that of scrap. Honestly, this is just unacceptable, I will not be purchasing any FCA product ever again this whole situation should never happen in a modern day vehicle. While it is rain proof and water hose proof, it is not touchless car wash proof. Can confirm the water did not enter through the sealed areas, so it must have made its way in through the sheet metal sandwich/ gaps just north of the problem area. Image 9. The blue traces are the edges of the different sheet metal parts. Outlined in purple are the most likely locations of intrusion. Good luck with you next vehicle. 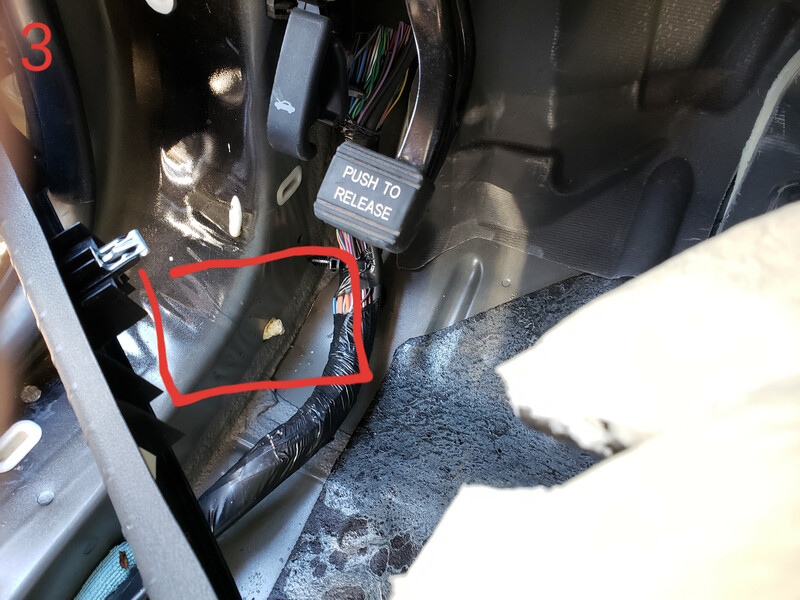 We had a 2004 Malibu that had a chronic water leak into the trunk area. After the local dealer failed to repair it. We used a garden hose to find the cause. Turned out to be a seam wasn't sealed. Silicone sealer fixed it.